You are here: Home / Uncategorized / IS YOUR DOG AGGRESSIVE? MAYBE IT’S IN PAIN! IS YOUR DOG AGGRESSIVE? MAYBE IT’S IN PAIN! Is your dog aggressive at times? Dogs can sometimes suffer sudden episodes of aggression without their owners understanding why. However, often the cause of these attacks can be due to pain which may never have been diagnosed or treated. This study below describes the characteristics of this irritability, which can make dogs violent and aggressive. “There are many factors that explain aggression in dogs: the conditions of the mother during gestation, the handling of the puppy in the neonatal phase, the age at weaning, the experiences of the animal during the socialising phase, diet, exercise, genetics and learning techniques based on active punishment during adulthood. However, aggressive behaviour also arises from the presence of pathologies and pain in the dog. Between 2010 and 2011 a team of researchers from the department of Animal and Food Science at the Autonomous University of Barcelona (UAB) in Spain analysed the aggression problems of 12 dogs (Giant schnauzer, Irish setter, Pit-bull, Dalmatian, two German shepherds, Neapolitan Mastiff, Shih-tzu, Bobtail, Catalan Sheepdog, Chow-chow and Doberman) who were brought to the UAB’s Veterinary Hospital by their owners. “All (eleven males and one female) were diagnosed as having aggression caused by pain. Out of the 12 studied, eight had suffered a hip dysplasia,” as was outlined by Tomás Camps, lead author of the study that was published in the Journal of Veterinary Behavior and researcher at the Animal Nutrition and Welfare Service of the UAB. Scientists identified the most frequent circumstances in which dogs were aggressive, the most characteristic positions, the most frequent target of attacks and if they were impulsive or, in other words, whether or not they showed signs before an imminent attack. The study shows that dogs that were already aggressive for other reasons before the onset of pain attacked their owners more intensely and frequently when food was taken away, when they were moved from their rest area or when they were made to do something. Animals displayed aggression in the same situations (or nearly) as those that were already aggressive. Canine hip dysplasia affects more than 40% of Golden Retrievers, Labradors and Rottweillers and is a hereditary and degenerative bone disorder that affects the joint connecting the hip and the femoral head. In general, it can affect any breed of large dog but is less frequent is small breeds. The new study suggests that the pain produced by hip dysplasia is a key factor in the risk of large dogs becoming aggressive. 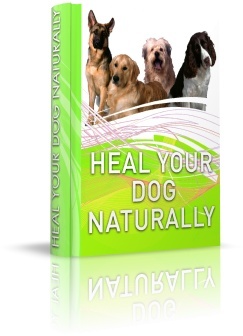 But the problem begins when the dog experiences periods of little pain and the illness is not diagnosed on time”.